Elizabeth Warren was a registered Republican for much of her adult life—while not a secret, it’s a fact that, if one isn’t a rabid reader of political news, can be surprising. As a profile in Politico magazine makes clear, Warren’s shift from an academic who once decried the “quasi-socialist safety net to rival the European model” in a book she wrote in 2003 to a champion of Medicare for All and and a critic of the worst excesses of capitalism was an organic political evolution rooted in genuine concern for the suffering of American families, and one that occurred years before she entered politics. It’s a political transformation that feels distinct from other candidates moving left or right with shifting political winds. Some people who knew her as a young woman, when she was, as a high school friend put it, a “diehard conservative,” are surprised by her evolution. “I remember the first time I became aware of her as a political person and heard her speak, I almost fell off my chair,” Rutgers law professor Gary Francione, who was a colleague of Warren’s at the University of Pennsylvania in the late 1980s, told Politico magazine. What that something was, according to Warren, was seeing the real-world impacts of bankruptcy on American families, as part of a research project she began in the 1980s. As she told the Intercept in 2018, that work was eye-opening. Still, Warren remained a registered Republican, though not a partisan one, voting for Republicans and Democrats alike (though not, as she noted, for Ronald Reagan). Her switch to the Democratic Party came in 1996, shortly after she was appointed to the National Bankruptcy Review Commission to study our nation’s bankruptcy laws. 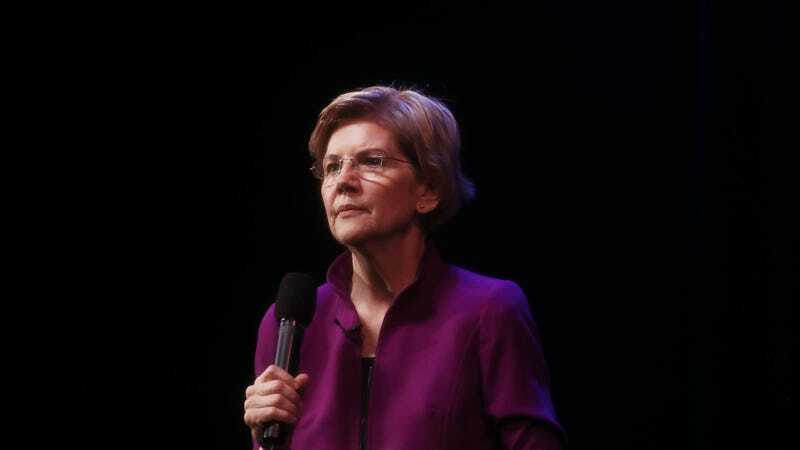 But it was in 2005, when President George W. Bush signed a business-friendly law that made it harder for people to declare bankruptcy and erase their debts, that Warren became the political person we know today.